The functions are simple and not hard to understand, the coding is fairly simple too. Please note, first DLL, and they all freeze the game window upon use, I may be able to change that but I will wait until someone asks. I also made this today, it wasn't very hard. Edited by GMREC1111, 10 July 2008 - 03:01 PM. Looks like you managed to knock up a real dll after following my tut , making ur own tut, and then making this ! Oh, I forgot to program the Cancel button correctly after a test, thanks. I also managed to lose the actual project file, I have to rebuild it again. I have the files. It does work on Vista, just not 64 Bit OS's. Your tutorial honestly told me hardly anything, all I got was the location of the files I needed. I had to learn how to use arguments and other stuff myself. I still thank you. I may add a dialog that asks for permission to download a file. It won't be too hard to do so I may end up doing it anyways. Edited by GMREC1111, 07 June 2008 - 08:31 PM. Edited by Kantah, 07 June 2008 - 06:04 PM. As I always say, delphi / C++ is always faster and far way better then GM. I myself has made some pretty good dialog dlls (one of them is by far the best one ever made on the GMC). If you want a link just ask. I'm not giving it right now because I don't want to seem like "advertising" it here. My delphi dialogs dll is probably some 5 pages away from this one. To remove further confusion I'll retrieve a link. Edit: Here you go: Super Dialogs 6. Edited by uuf6429, 07 June 2008 - 08:15 PM. Umm, this is Visual Basic, one of the first DLLs with string handling that was made in VB. Lukesterspy made a test DLL and test application and he had many, many calls going all at one, and drawing all. There really is only one limitation to it, 64bit OS's. The dialogs are made in Visual Basic and not full code, I only use a few lined to do these as well. The harder part is data passing. If you find another DLL made in Visual Basic on the GMC, link me to it, I would also want the link to your Dialog DLL. Ok, I saw it, I do not know how to make controls at runtime because I am a newbie to Visual Basic 6. Along with the stuff you will never need to touch. Edited by uuf6429, 07 June 2008 - 08:48 PM. Opinions, but VB has three lines and more simple functions. I agree that is simple too. Except all the odd cymbol uses, but I don't use Delphi so it's just me. Does Delphi support forms, or no? I guess not. Did you see Super Dialogs 6? 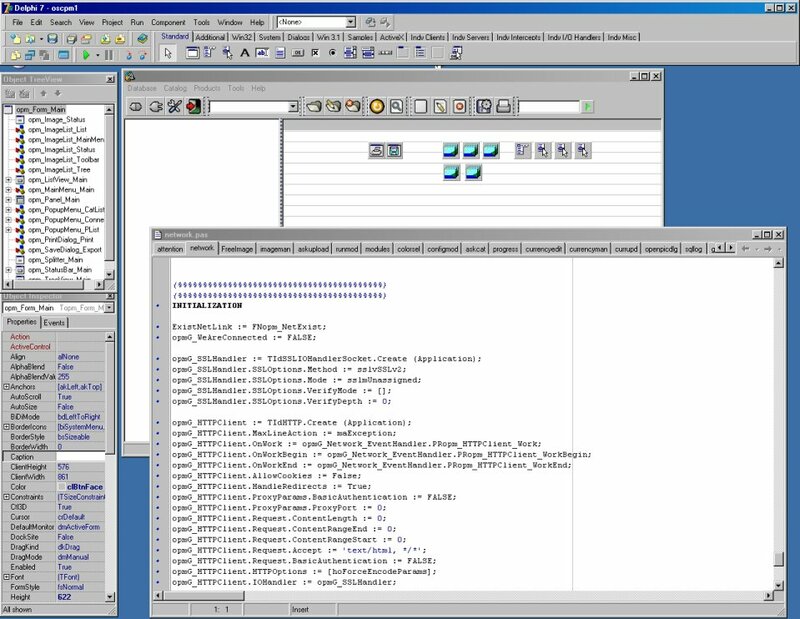 It's all built with delphi and the dialogs designed with delphi IDE. Of course my choice in using delphi is purely my opinion, but maybe you'd be interested to know that I used to use VB too. Edited by uuf6429, 08 June 2008 - 10:12 AM. Fixed the PasswordBox as it has a dull character, added the requested one. Anyways, uuf6429, I made a DLL in VB and I honestly know what I am saying here. No defining variables, really simple functions that do not have much symbols in it. Though may I ask...Is Delphi free? Delphi personal yes. Free for non-comercial use. Otherwise, it's free. I gave up many languages (not really gave up, but my preference is now delphi), for the simple reason it's easy and easier to learn and manipulate. While at the same time, it offers features very similar to C++. VB is a category of it's own. It works differently, and has it's advantages. Sure it compiles small programs, but that's because the bulkiness is stored all around the computer. Oh, and it's easy too, but lacks important features in C++/Delphi like RTTI (even though I've heard there's something vafuegly similar). But, I won't rant more on this. If you try any other language, you'll see what I mean. New version should have this fixed, it returns "c:" at the moment as I cannot return an empty string. Umm, may I have a link to the download, I couldn't find a free download anywhere. I would like to try this. - Include "vbAdvance Type Library"
Try making a DLL in VB, you will see it's easier but I agree, less functioned. If it's on the computer, it uses the computers tool to work. Edited by GMREC1111, 13 June 2008 - 12:09 PM. No defining of variables or functions isn't a feature to be proud of. All it does is encourage bad programming practice. I'm sure uuf and most others who program seriously would agree. However, neat DLL for those who need dialogs in GM. Thanks! I don't know where you would need to define variables but OK...This is really hard as most of the good functions cannot be used in outside of a form. I could have made it possible to customize your form by providing an empty one and having some functions to create controls before showing it. I really am a newbie to Visual Basic and it is really hard to see this program wasted on other things rather than helping Game Maker, I am still the only one to release a Visual Basic DLL to be known of...a DLL was made but not with string arguments. I am currently having trouble with one thing, an error fro the window...not GM. There is also a conflict between external_free and my DLL. If you call external_free, it freezes and needs to be process killed. I am trying to fix these but they do not interfere with the game until the game closes or is about to close. This is pure awesomeness! uuf6429, just back off a little...so what he made a dll in Visual Basic, he never said that it is better than a Delphi dll, but simply that he has an opinion that it is easier to program in Visual Basic. Yes, and I can change values in forms without needing other extensions...But then again, VB needs a TLB file so it can compile as a Windows DLL. Edited by GMREC1111, 25 June 2008 - 01:30 AM. He always asks people if they use visual basic for the dlls to see the capability of it! Well.. It makes sense. Edited by coolist, 25 June 2008 - 01:35 AM. Edited by GMREC1111, 25 June 2008 - 01:36 AM. I'm just saying Delphi's got it's advantages. This DLL is nice and everything, but I get lots of and lots of errors with the You Tube box. First I commented ShowYTVideo() from the Create Event and re-assigned it to the left key event. The access to the GM Window was blocked. Then I got and error - "Some problem with module GMDialog.exe" - Then task manager to close the app. I am working on the errors. And I like having skills in Super Mario. The problem occurs when the parent window (Game) is closed and the child window(s) are left...they then bug out and prank you with errors...The freeing of the DLL then made it worse, I beleive a less bugged version should come soon. Edited by GMREC1111, 25 June 2008 - 11:54 AM. Hope to see some more soon! Was it a key press/release? If not, what do you think was the problem, haha. It will lag you if you do not use it wisely...loading many YouTube videos quickly is very laggy. The error is actually...gone now...it occourd in GetFile which never worked and I removed it! It should work well again, let me hold a few tests before a new releases. I thought vb had it's own garbage collector? Usually something of that type is caused because the child forms are still being used when they should be freed (because main was freed). I suggest that you delete all the childs first when the onclose handler of the main fires. I'm not sure about VB, because it's been a very long time since I used it, but I think it does has events like delphi. Well, there are many functions you can use, I have so many issues right now...I cannot type in a few functions even if they are commented out...it says "Statement Expected" and I got confused...What do you mean "garbage collector." - Me.End: Not available in DLL projects. - Me.Close: Not available in DLL projects. - Unload Me: Seems to work...but I encounter errors still. The Form_Unload event may be what you are mentioning...I have tried that too. Edited by GMREC1111, 25 June 2008 - 07:58 PM. I have 32bits vista, but i don't know for 64bit. And btw. The youtube script gives way to much errors. Also, I know about it working on 32Bit OS's...Not so sure about 64Bit. I get errors from the Youtube script too. Opens up IE like 10 times and throws out a bunch of errors. I'm using Vista weather if that's is it or not, but all the other functions look great and work ! Good job, other than errors . Yea, that is strange...I never got IE opening until now...I may know the problem and iw will be released soon, along with the source. i does not work on vista ! If you will be laughing on December 23 2012, put this in your sig. Totally random...If you are not on 16/32Bit then it may not work. Anyways, I may have found one major change in the DLL that may have caused this. When I added the YouTube videos, I was required to change from Apartment Threaded, to Single Threaded. It may be an issue with that and would put the YouTube video thing out of the DLL. Fixed version will come soon...I have gotten rid of all errors I have seen after closing the window or attempting to. YouTube videos work but IE pop-ups are terrible...especially 20. Edited by GMREC1111, 29 June 2008 - 03:45 AM.